Daily Illuminator: Ogre Garage Open For Business! April 26, 2013: Ogre Garage Open For Business! We've received penultimate tray samples for Ogre Designer's Edition, which are a beautiful fit. 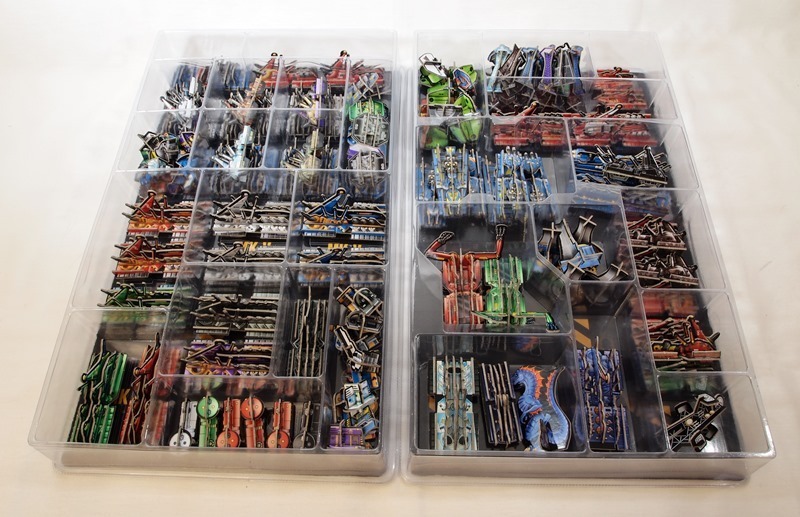 All the 3-D counters in the Kickstarter edition. Enough firepower to take over the globe. The Kickstarter edition, plus one of each sponsored sheet. 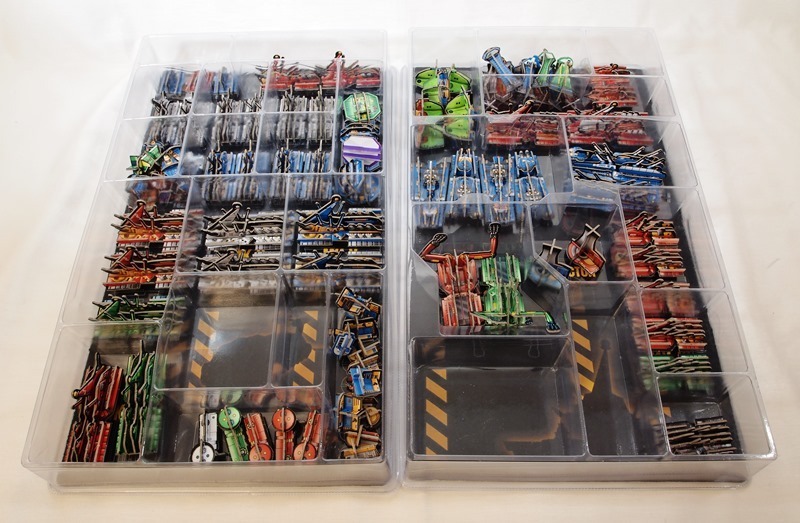 The great news is that it's possible to fit all the 3-D counters in the Ogre garage, even with the sponsored sheets. We'll receive the final trays (with minor tweaks) in the next week or two, but at this stage we're confident enough to proceed with production. Our webpage for the $4,500 backer level sponsored sheets is up. These are a separate purchase. Three sponsors, Drew Metzger (see sponsored sheets page), Fire Mountain Games, and Thirdpower, have pre-orders available now.